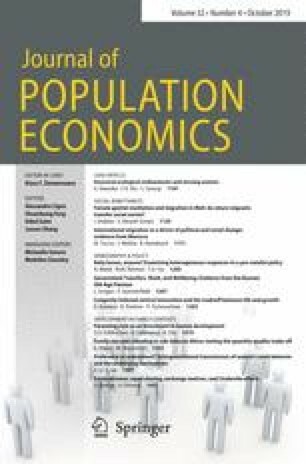 This paper examines the impact of immigrants on the income of various groups of resident workers in the United States and Europe. Our approach features the use of a production technology incorporating education, experience, and unskilled labor as inputs. This contrasts with the assumption used in earlier studies that native-born and immigrant labor are distinct inputs into production. We find that in both United States and European production, education, unskilled labor and experience are complementary inputs. Based on these results, simulations of the impact of immigration on residents are carried out. The absolute magnitude of these effects is found to be very small. This paper was presented at the Centre for Economic Policy Research Workshop, “The Economics of International Migration: Econometric Evidence”, February 26 and 27, 1993, Konstanz, Germany. We benefitted from the discussion at the conference and, particularly, the comments of Anton Muscatelli. We thank three referees and the managing editor of this journal for their suggestions. We also thank Selig Sechzer for his significant contributions to the empirical analysis in this paper. Ira Gang's work was partially supported by the Rutgers University Research Council.